I like posting follow up photos of the giveaways we have here. David, who won the Idiot Box Effects D4 Distortion Give Away posted a photo on the Facebook page, and I thought I would repost it here. 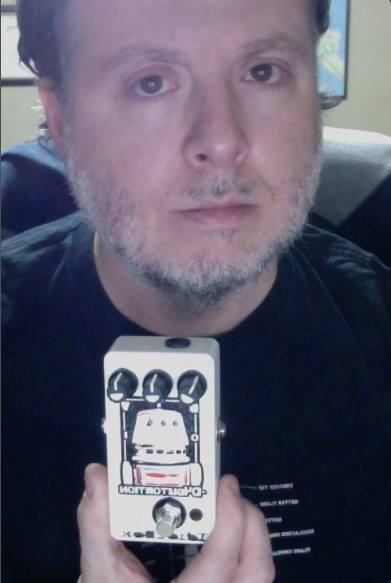 Here is David with is Idiot Box Effects D4 Distortion! Congrats David. Please let us know what you think about the D4! I would like to shout a special ‘thank you’ to Idiot Box Effects for letting us give away this great pedal. People, please check out their site and support this great DIY pedal biz. Visit their site. Follow them on Facebook. I’m getting the next give away sorted out, so keep your eye open for that!